Powered artificial limbs are a marvel of engineering and like most fine pieces of machinery, these prosthetic pieces require regular maintenance. Currently much of this fine tuning is handled by prosthetics experts in a painstakingly long and expensive process, but that reality may change thanks to a team of bioengineers from North Carolina (NC) State University and the University of North Carolina at Chapel Hill. 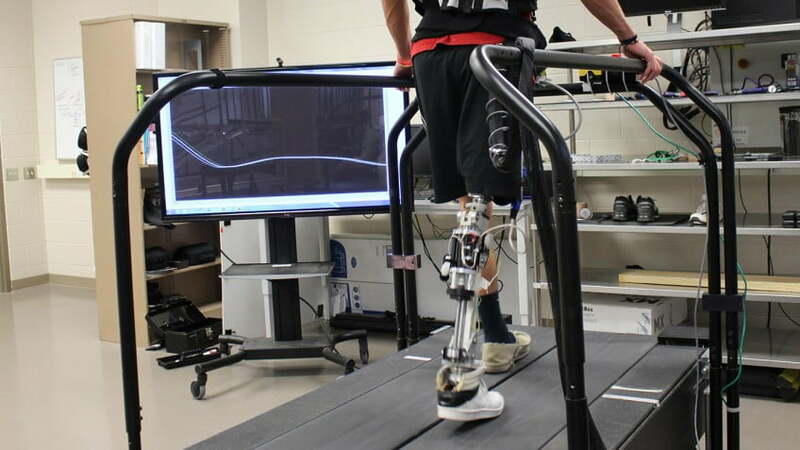 The researchers are developing a software algorithm that would tune artificial limbs automatically while the limb wearer is walking throughout the day. You might not realize it, but powered prosthetics are complicated pieces of machinery and require more than just a simple fitting before a wearer can take off for a stroll on their artificial limbs. The limbs need to be calibrated to each individual’s physical condition, taking into account their weight, muscle strength, and other characteristics; such as the joint angle of their gait All these parameters and more are adjusted so the limb can mimic the person’s normal joint motion and recreate their natural gait of walking. These adjustments are normally completed by a prosthetics expert when the limb is first fitted to the patient, and again at regular intervals as the patient adjusts to the limb or their physical stature changes. These adjustments, however, take time and can be costly for the patient who is wearing the limb. As a result, patients may delay a necessary re-tuning and will continue to wear an uncomfortable and poorly fitted limb. To provide an alternative, the North Carolina scientists, led by lead researcher and associate professor Helen Huang, have developed a cyber expert system that uses an auto-tuning algorithm to make adjustments to the limb on the fly. This auto-tuning code can be embedded into the software of the powered prosthesis, allowing it to automatically adjust the artificial limb as the wearer walks around each day. It also adapts to a person’s movement in real time, making changes to the prosthetic in response to the limb wearer. For example, the limb can compensate when the wearer is carrying a heavy suitcase through an airport and then revert back to normal when the luggage is gone.